The Sarasota City Commission this week directed staff to conduct further research into the potential implementation of a countywide mental health tax district to help pay for solutions to the community’s homelessness problems. 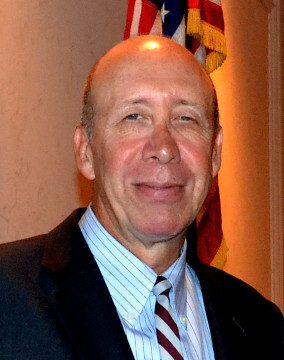 City Manager Tom Barwin will gather information from Hardee County, because, thus far, it is the only county in the state to establish such a tax district, city and county staff members have reported. The Feb. 16 City Commission action was just one facet of focus it and the Sarasota County Commission put on homelessness again this week, as the local government bodies work toward the best approaches to solving the community’s problems. As evidenced by comments at both boards’ meetings, though, it is clear disunity remains the rule. 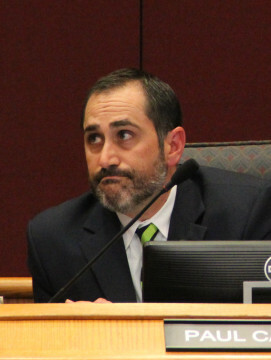 The City Commission initiative followed a Feb. 2 Sarasota Downtown Improvement District meeting, during which that advisory board voted its support of a mental health and indigent care taxing district. City leaders subsequently have emphasized a November ballot question, while the county commissioners have held firm on the decision they made during their December 2015 retreat: They do want to add any other tax measure to the November ballot, when they will ask county voters to approve a $190-million referendum to pay for major construction projects, including a Public Safety Campus on Cattlemen Road. In a routine report to the city commissioners, Eileen Hampshire, chair of the DID board, discussed the Feb. 2 meeting. She explained that her board approved two motions supporting collaboration between the city and county to try to establish potential funding streams — including the mental health and indigent care tax district — that would enable the community to better tackle the issue of homelessness. During the Feb. 2 session, part of the discussion focused on a preliminary projection that a 0.25-mill levy could raise $11 million annually. Last week, County Commission Vice Chair Paul Caragiulo and Commissioner Christine Robinson accused Barwin of purposefully crafting a press release to make it appear as though Caragiulo supports a November referendum on a countywide mental healthcare special taxing district. In fact, Caragiulo made plain at his board’s Feb. 9 meeting, he does not. Residents want the city to work on homelessness, Barwin told the commissioners. “I continue to sense from our community that there is some sense of urgency,” he added. Barwin said he believes the collaborative spirit and discussion about funding sources evidenced at the Feb. 2 DID meeting was a breakthrough. “We can’t stop trying,” Hampshire added. At one point, John Moran, the DID operations manager, told the commissioners he had spoken with Caragiulo on the phone while the City Commission meeting was under way. “He asked me to relay one thing,” Moan said, adding that Caragiulo wanted people to understand he is not in favor of placing the tax district question before voters on Election Day in November. Perhaps there is a chance for the DID talks to “re-energize the discussion on the shelter,” Atwell said later that evening, after Mason had made her remarks. 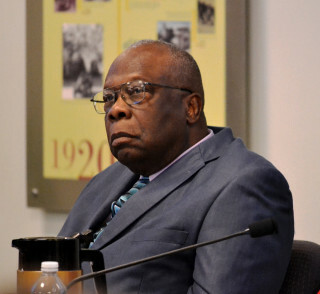 Noting recent setbacks to the city’s efforts, Mayor Willie Shaw questioned the timing of Mason’s comments. He noted that the county’s and city’s staffs are still working together on solutions to homelessness. Atwell and City Commissioner Shellie Freeland Eddie both expressed the desire to learn more information from Hardee County about its special tax district. The tax district can be put on the ballot only if the County Commission agrees to do so or if voters collect enough signatures through a petition initiative to put the question on the ballot, Barwin told the commissioners. So the city does not have any mechanism to proceed on its own? Commissioner Liz Alpert asked. That is correct, Barwin replied. In Hardee County, 1 mil is collected, and the mental health district raises $44 million a year, Moran noted. Hardee County uses the district funds primarily for indigent healthcare reimbursement, Barwin pointed out. He has exchanged emails with the Hardee County administrator, he added, and he plans to get an outline about the program. 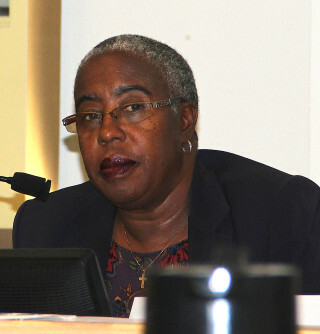 Mayor Shaw said that if a majority of the city board supported the effort to get the measure on the November ballot, the matter could go before the County Commission. 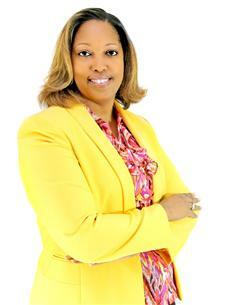 Atwell told her colleagues she is hesitant about moving forward until she learns more about the tax district. Meanwhile, the county commissioners vowed during their Feb. 17 meeting to keep their focus on homelessness. The board members also affirmed their commitment to establishing a come-as-you-are shelter. County Administrator Tom Harmer told the commissioners that a report the board requested on staff recommendations regarding next steps should be delivered to them on March 21. The commission last month asked that a discussion of the report’s contents be scheduled after they receive the report. However, county spokesman Drew Winchester told The Sarasota News Leader on Feb. 18 that no date has been set. He did note that the board has a regular meeting scheduled for March 22.